Why should you become a partner with Consulting Society? Consulting Society gives Consulting Firms the exposure to the right people across campus. Not a specific field of students like other clubs. The Committee have vast experience in a range of fields, many are part of numerous clubs on campus. We can run the event you want. Accenture improves the ways things work! With approximately 289,000 people working in 120 countries across the world, Accenture is a truly global company. The work we do ranges from important to mission critical, from interesting to career-defining. It’s important work, undertaken by passionate, dedicated people with a singular focus on improving the way things work. Whether it's working with clients in the financial services sector, helping a global mining company in resources, providing digital advice for a client in the technology sector or working with Governments, everything we do is focused on improving performance and maximising opportunity. On making things work better. And that includes your career with Accenture. A career that will take you almost anywhere, working with some of the biggest and best brands in the world, guided by individual mentoring programs and support throughout, and backed up by world-class training and development opportunities everywhere. A.T. Kearney is a global team of forward-thinking, collaborative partners that delivers immediate, meaningful results and a long-term transformational advantage to our clients and colleagues. We are talented problem solvers who work in a collegial way to create and implement elegantly simple, practical, and sustainable solutions. Consequently, we seek people with a combination of analytical skills, academic excellence, and superior interpersonal attributes. For undergraduates and advanced-degree graduates without previous work experience, the A.T. Kearney business analyst program is an outstanding introduction to the discipline of management consulting. Azure Consulting is Perth’s leading boutique management consulting firm. We advise and support senior executives, working collaboratively with them to maximise the potential of their organisation. Led by experienced consultants that have worked in the world’s most respected consulting firms, we work across a wide variety of industries and deliver results in strategy definition, performance improvement, organisation effectiveness and transactional support. Active senior team involvement: Our senior staff are actively involved in our engagements. We intentionally run a low leverage model that ensures senior team insight and solution development, and provides excellent apprenticeship and accelerated development of our staff. Flexible engagement models: Every problem is unique; our approach to solving that problem is therefore necessarily tailored to that problem. Our approach can range from high impact teams or thin support models, to individual coaching and personal advice. Real impact with lasting results: We solve complex issues with a relentless focus on developing pragmatic and sustainable solutions that leave our clients in a better position than before they engaged us. We have a bias to outcomes and actions, not reports. 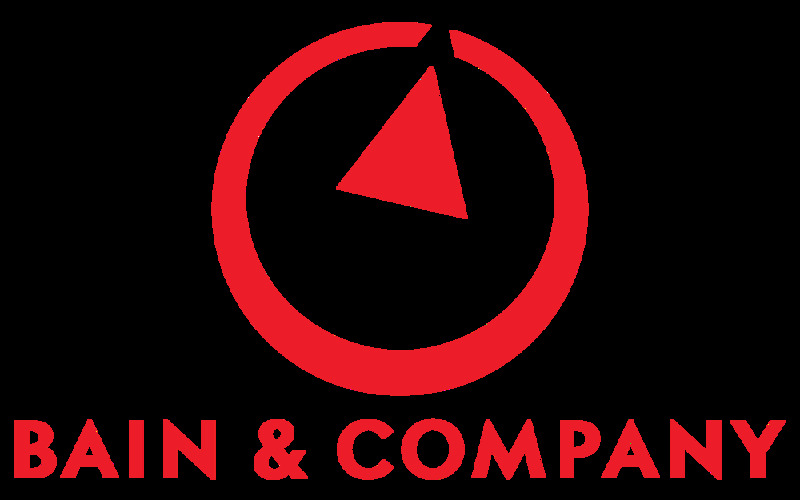 Bain & Company is one of the world’s leading global management consulting firms. We work with clients across the world on issues of Strategy, Operations, Technology, Organisation and Mergers & Acquisitions. We realise that helping an organisation change requires more than just a recommendation. We try and put ourselves in our clients’ shoes and focus on practical outcomes. Bain has 50 offices worldwide and employs over 5,000 people working with major international corporations in more than 60 countries. At Bain, our unique results-driven culture has been continuously redefining strategy consulting. Our commitment to delivering real, measurable results that impact futures and bottom lines is unmatched in the industry – and so are our people. We succeed because we refuse to allow ourselves or our teammates to fail. We prefer setting the pace to sitting on the sidelines, and we write invaluable personal results stories with each new experience. The Boston Consulting Group (BCG) is the fastest growing global premium consulting firm with 78 offices worldwide. We are also the largest of the premium consulting firms in Australia with offices in 4 cities. We help the world's most ambitious firms transform their businesses delivering strategic insight and transformative change - collaboratively. We hire diverse world-class talent and offer unparalleled personal and professional development and career opportunities. BCG employs Associates from fields as diverse as music, philosophy and medicine, as well as traditional fields such as law, engineering and commerce. Most are in the top 5-10% of their graduating class. Students interested in joining BCG after completing their undergraduate degree should apply for a full-time role in their penultimate or final year of study. EY are committed to building a better working world. It’s not just their purpose. It defines who they are. This is why EY need people who want to work with the best and be the best by developing their skills as leaders, to create positive change. People who are curious, entrepreneurial, always wanting to reach for more. People who embrace the diversities of the world, think beyond boarders. People who think and act globally. Could you be one of them? EY's people are given opportunities to match their ambition, learning how to be part of a high performing team, and creating relationships that last a lifetime. Companies come to us because they know we offer the knowledge, insight and guidance they need to move forward with confidence. Our consultants deliver world-class and rigorous analysis, deep knowledge of their industries, and pragmatic solutions to produce practical, high-impact results – quickly. Nous Group (Nous) is a leading Australian owned management consulting and leadership development firm, with offices and experienced consultants throughout the country. We partner with clients in demanding sectors to create innovative, enduring solutions that deliver positive change. Digital strategy & capability: Enable strategy through digital initiatives. Nous Group has been named ‘Best management consulting firm, Australia’ in the 2015 Australian Financial Review Client Choice Awards. This follows our win in 2012 and finalist nomination in 2013. Our goal is to be Australia’s most influential management consulting and leadership development firm: to achieve positive change through outstanding business results on projects of national significance, and thereby improve our society’s well‑being. KPMG is much more than an accounting firm. We provide Audit, Tax and Advisory services across a wide range of industries, government and not for profit sectors. While we are probably best known for the work we do with top-tier clients, we also provide services tailored to meet the unique needs of mid-sized, fast growing and family owned businesses. We do this through KPMG Enterprise. KPMG Enterprise is a rapidly expanding part of our business where you get to work with a diverse range of exciting businesses. Because of the size of the clients, you get better exposure to the whole company, CEOs included. Which you just wouldn’t get with our larger corporates. We recruit across a range of degree disciplines, skills, abilities and backgrounds. We want diversity, commitment and ambition. We value innovative ideas and we're interested in you and your unique take on the world. Your academic record is just a small part of what we consider. Strategy& is a global team of practical strategists, committed to helping organisations seize essential advantage by working alongside industry leaders to solve their toughest problems, and capture their greatest opportunities. Strategy& was formed on March 31, 2014, when Booz & Company combined with PwC to create a new kind of consulting business. Visagio is a global business consulting and information technology firm, recognized for our capacity to link technical expertise to actual client needs. We deliver value to our clients based on the concept of Management Engineering, which is anchored in our main expertises: Supply Chain & Operations, People &amp; Management and Admin & Finance. The core of Visagio value proposition is our drive for implementation, we don’t only advise, we deliver the new business capability working, with client’s people enabled to run it. Visagio has developed more than 1,000 projects in 150 clients from different sectors, many of them NYSE, NASDAQ or ASX listed. We have operations in the Americas, EMEA and APAC regions, the last one being supported mainly by our office in Perth, which was founded in 2011 and has been growing significantly in the last couple of years. And all of this is only possible thanks to our model based on a strong talent attraction, development, excellence, differentiated engagement and retention. One example of Visagio’s uniqueness as a learning environment is our corporate university, UniVisagio. This is a cost-free opportunity for training and development of both technical and soft skills, expanding the consultants’ areas of knowledge. In 2016 alone, UniVisagio is offering more than 100 hours of valuable in-company training through the internal courses and lunch & learn sessions to the team in Australia. We are looking for students/recently graduates in engineering, business, computing and related disciplines. So, if you have that background and you are also a highly committed, results driven person that wants to learn a lot, please send your CV and cover letter to hr.australia@visagio.com. The Bachelor of Philosophy (Honours) Union exists to represent and support BPhil students at the University of Western Australia. The UWA Student Managed Investment Fund endeavours to enhance the learning experience offered by the University of Western Australia, by being actively involved with students and offering mechanisms for students to gain practical skills. The University of Western Australia Young Engineers (UWAYE) Club is the student chapter of Engineers Australia at UWA. Our mission is to promote and generate opportunities for the personal and professional development of engineering students and enhance their general understanding of the profession. UWA Consulting Society is a club run by students, for students who are interested in the Consulting discipline. Since Consulting is not "taught" at UWA, Consulting Society is your place to go to understand what Consulting is, talk to like-minded students and get connected with Industry experts. The best way to get involved in Consulting Society is by signing up as a member or joining the Consulting Society committee. UWA Consulting Society's memberships are handled online to ensure that you never lose those stickers on the back of your UWA Student Club. Consulting Society requires a group of talented and motivated individuals to work as a team. The team provides it's members with the events and opportunities that will allow them to grow and be successful in the world of Consulting. As a team member you will be expected to be comfortable in approaching companies and negotiating with them to ensure the best outcome for student members, club and company can be achieved. It is required that Committee Members are motivated and show continual commitment to the club through their role. Furthermore, it is recommended as part of the committee you will be organised and be able to manage large events with numerous stakeholders. A student club needs students in order to continue operating effectively. Intake for the new committee usually occurs at set periods throughout the year. Feel free to apply at any time, outstanding or exceptional candidates may be contacted outside of the prescribed intake periods. The Executives shall register your interest and contact you prior to committee intake or earlier in special circumstances. Send through your Resume and Cover Letter in your application. If you have any queries in regards to Student Membership or Committee Applications please do not hesitate in contacting us.